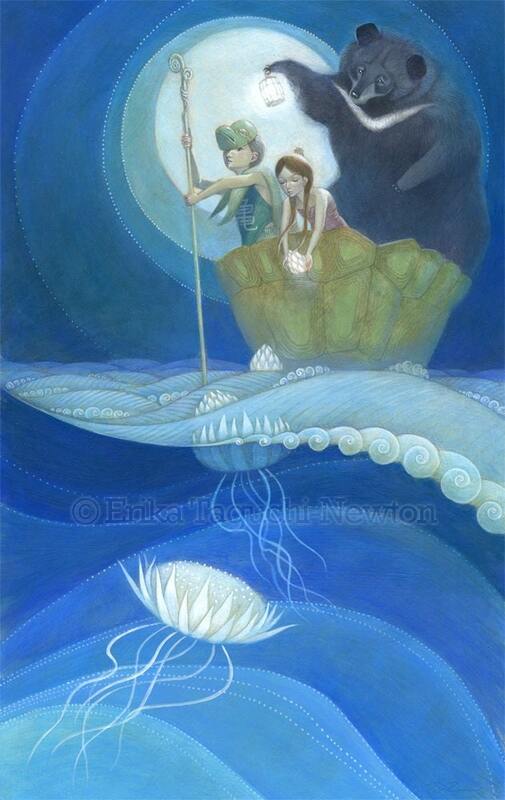 Girl and Boy with Bear Art, 11x17 Flower Jellyfish Painting, Waves and Moon Fine Art Print, "Moondrops"
Printed on archival fine art paper with archival inks, this print of my original acrylic painting, "Moondrops," is signed and protected in a clear sleeve with a backing board. It features a girl, boy and a moon bear drifting in a turtle shell boat, dropping glowing flower jellyfish into the waves by the moonlight. 11x17 - Under category "Large Fine Art Prints"
9x12 (mat optional) - Under category "Fine Art Prints"